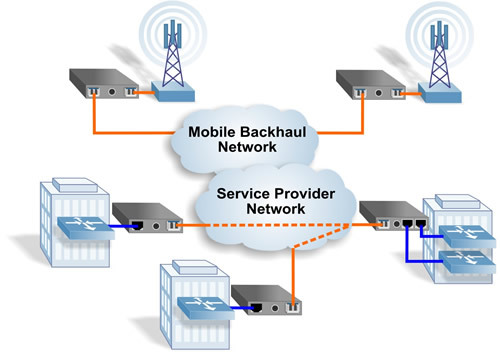 The GM3 supports MEF-certified User-to-Network Interface (UNI) functions including Class of Service (CoS) management, granular rate-limiting, and 802.1ad Provider Bridge VLAN stacking (Q-in-Q) for service multiplexing of multiple E-Line, E-LAN and E-Tree services. The GM3 provides per-flow service mapping, traffic policing and shaping. CIR/EIR “two rates, three colours” ingress port policing provides granular bandwidth optimization. The GM3 also provides advanced classification and filtering of subscriber traffic as an EVC or CoS flow based on layer 1, 2, 3 or 4 identifiers. The GM3 supports carrier-class Ethernet Service OAMstandards. 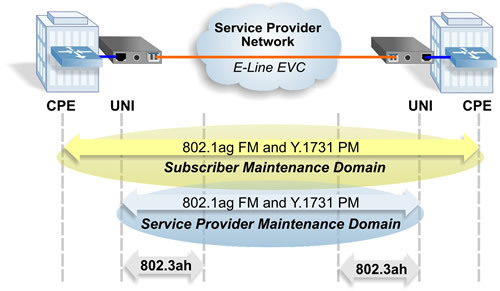 IEEE 802.1ag Connectivity Fault Management (CFM) proactively monitors service availability and provides tools for rapid fault isolation. ITU-T Y.1731 Performance Monitoring provides the ability to monitor key SLA parameters including frame delay, frame delay variation and frame loss. These OAM features provide proactive fault detection and rapid isolation of potential service problems, enabling SLA assurance while reducing Operational costs (OPEX). The GM3 fibre ports support Gigabit (1000BASE-X) or Fast Ethernet (100BASE-FX) SFP transceivers, and the copper interface operates at 1000, 100 or 10Mbps. The GM3 is available in 2-port or 3-port options. The 3-port configuration supports geo-diverse redundant access links or multi-tenant demarcation with two subscriber ports. 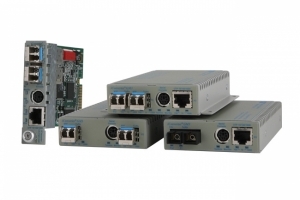 The GM3 also functions as a fibre transport module for the modular iConverter T1/E1 and Ethernet Multiplexer System.